Description: The squirrel treefrog is a small, smooth-skinned frog that can change color rapidly, from green to yellowish brown or brown. It generally has a poorly developed yellowish stripe on each side and sometimes spotting on the back. 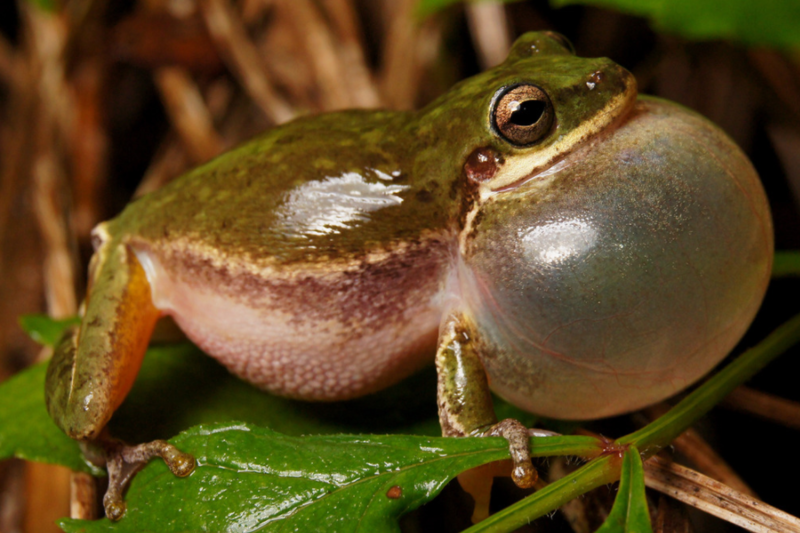 Habitats and Habits: Squirrel treefrogs occur in a wide variety of habitats, ranging from pine savannas to urban backyards. They are found primarily in the Coastal Plain, although they may be introduced into other parts of the state by hitchhiking on garden materials. 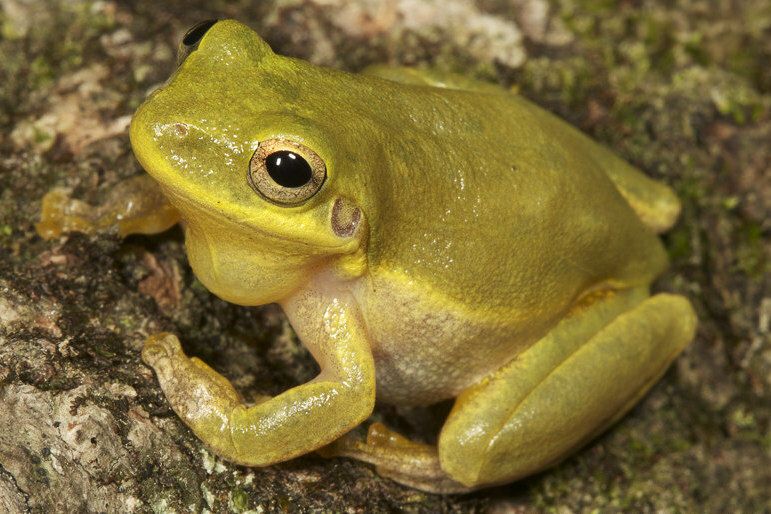 Squirrel treefrogs are nocturnal and spend the daylight hours hiding under leaves, bark or logs. 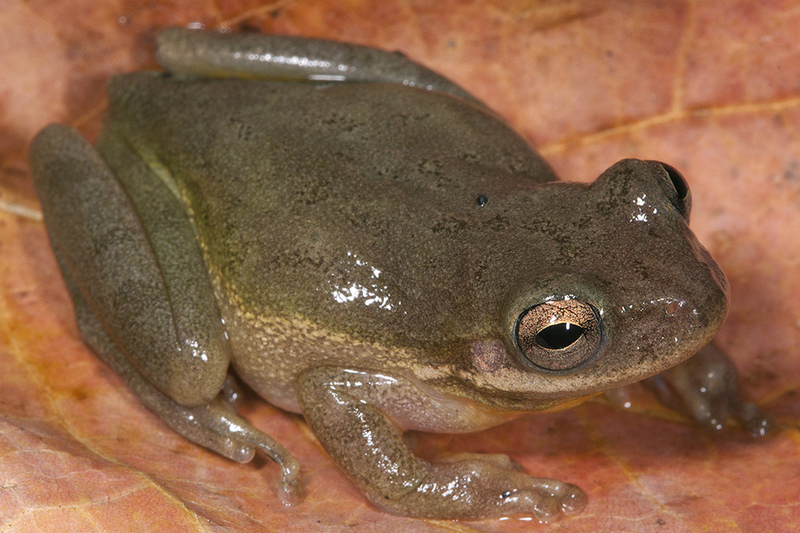 Eggs are deposited singly at the bottom of shallow, temporary pools, and tadpoles require at least seven weeks to complete metamorphosis. 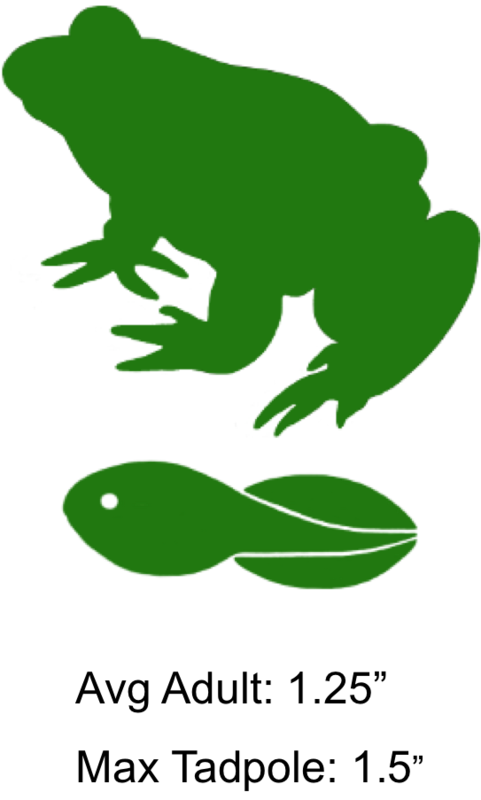 Frog Fact: Squirrel treefrogs and other treefrogs are often seen at night around lighted windows and street lights, where they feed on insects. The shaded region represents the range of the Squirrel Treefrog in North Carolina.